Nagpur: DPS MIHAN has launched an initiative to make Nagpur a poly bag free city. 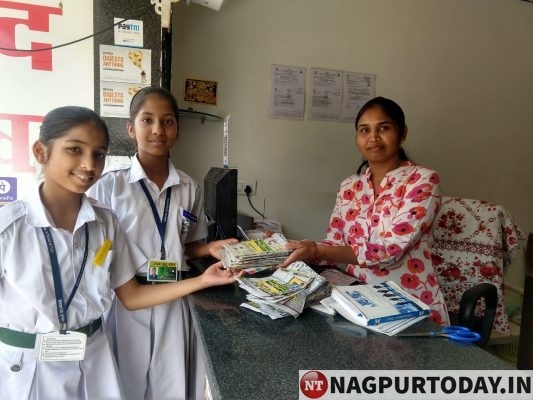 Keeping this in mind, as a part of Nature Club activity, the children from all the classes of DPS MIHAN made paper bags and distributed them in many medical shops in the city. They were accompanied by the in-charges teacher – Shweta Ghate and Parimal Waranashiwar. 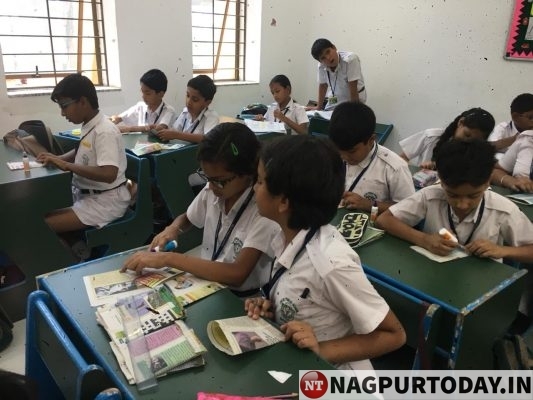 The initiative of DPS MIHAN is aimed at doing away with the use of poly-bags by replacing them with paper bags and to recycle used news papers and convert them into paper bags. Young DPSites of MIHAN along with their teachers were on their march to stop use of polythene. These little soldiers are aware of hazardous nature of polythene bags. 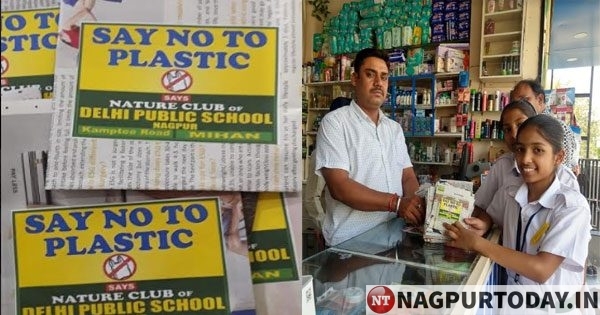 They planned to spread the awareness in society so that they can replace the poly bags with paper bags and can help in making Nagpur eco-friendly and poly bag free city. Shop to shop campaign was conducted to counsel the shop keepers and hawkers to make them understand the hazardous nature of poly bags and utility of paper bags. All the teachers of the school, voluntarily contributed to this project. The Principal Gurpreet Bhambra acknowledged that this project can be considered as a stepping stone to green revolution. The project of DPS MIHAN has been applauded by shopkeepers and citizens of Nagpur.